What can you find inside? Countless articles on contentment from women just like around the world. 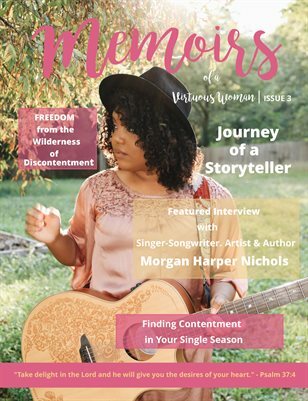 Featured interview with Singer-songwriter, Morgan Harper Nichols on her journey as a Christian artist Interview with Jasmine Macharia, the author of "Breakfast with the King." You don't want to miss Jasmine's amazing recipes from her book that are included in this interview.